I love this stuff! I use it on my hair and my children's hair. It is great just out of the shower and can also be used on dry hair. My son has a lot of hair and it is CRAZY in the morning. A few sprays of this and it is under control. Yes, I have tried other detanglers and none of them come close to this one. AND, it smells amazing!!! I got mine at Style Downtown. Morgan, you should try this! It will nourish your hair and seal the cuticle. You will love the smell too. I was out of town last weekend and forgot to put this in my bag. It made me not want to wash my hair! I love leave in detanglers!!! I've used Unite in the past and totally agree - it's wonderful! Hi Biana! 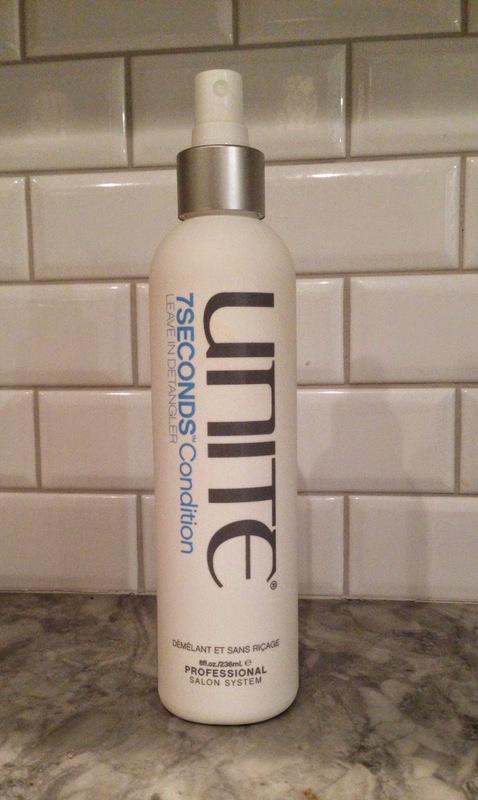 Unite products are great! I use the shampoo and conditioner as well. Hey Sarita! Check it out. You will love it! Hi Diana! I do not think that this would make your hair more oily. I would try it first on wet hair. You only need 4-6 sprays. Thanks! My hair is a comb's worst nightmare. I have never seen this before, if I do I will pick it up!